WAVS works hand-in-hand with local leaders in Guinea-Bissau to operate a vocational school that equips more than 200 students each year with life-changing job skills. The WAVS School, located in the town Canchungo, is run by an all-Guinean staff and offers classes in computer basics, auto mechanics, welding, English and French. These courses are designed to equip young women and men with marketable job skills so that they can transform their communities. Since opening in 2006, the WAVS School has served more than 1,000 students. Soon, WAVS will begin constructing a second campus in Bissau, the capital of Guinea-Bissau, which will train 1,000 students each year. Guinea-Bissau is a country facing serious challenges — crippling poverty, corruption, drug smuggling, and human trafficking. More than half the population survives off less than $1.25 each day. The public education system is under-funded and often fails to pay its teachers, leading to months-long teacher strikes. As a result, less than one out of four students even graduate from high school. And those that do graduate don't come away with the job skills they need to provide for their family. The WAVS School addresses these challenges by equipping its students with skills that translate into jobs. “I just want to work. I want to use what I’ve learned. I don’t want to have my diploma just sitting there. 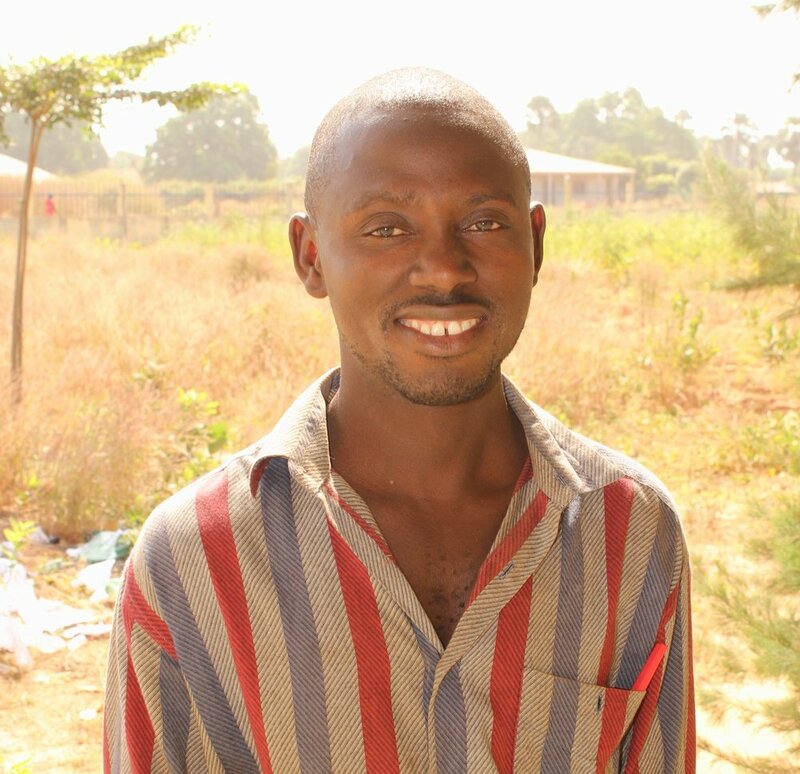 I want to use my skills.” Read João's story here. More than 3 out of 5 students at the WAVS School are in their 20s. They come from a wide variety of backgrounds and include young women from nearby villages, students who want to learn language and computer skills to prepare for their university studies, and unemployed young men like João (see photo) who enroll in the auto mechanics or welding programs so that they can earn a steady income and provide for their families. Through the New Entreprenuers Program, WAVS also provides its graduates with the physical tools and equipment they need to start their own business. The WAVS School seeks to invest in both the skills development and spiritual growth of its students. Its Christian instructors share God's love while equipping students with the skills they need to be agents of change in business, society and government. The future leaders of Guinea-Bissau are ready to transform their country from the inside-out. Let's give them the opportunity. As Guinea-Bissau develops, the number of vehicles in the country has increased. But few people know how to repair cars well. To help meet this need, the auto mechanics program began in 2006 and teaches students both theory and practical components. Many people in the community bring their vehicles to the school to have them repaired by the students. The WAVS School’s welding and metal works program began in October 2012 in response to a growing demand for skilled welders and metal workers in Guinea-Bissau. The students receive a combination of practical, hands-on welding experience as well as classroom instruction. As part of their training, the students have built and installed security gates and roofs all around the country. Technology is revolutionizing Africa, but a lack of basic training has left a shortage of skilled workers who can do clerical work on computers or qualify for government jobs that require computer skills. Students in the computer course learn about the basics of a computer, how to type, how to use Microsoft Office, and how to use the Internet. Teacher Sponsors help the WAVS School provide a quality education for young women and men in Guinea-Bissau while keeping tuition affordable -- less than $10 a month for most classes. Your monthly sponsorship ensures that your teacher will continue to impact the lives of dozens of students each year. As a WAVS Teacher Sponsor, you will have the opportunity to get to know your teacher through their personal updates so you can see how your investment is impacting the lives of their students. In the last decade, the WAVS School in Guinea-Bissau has trained more than 1,000 young women and men in life-changing job skills. But that is just the beginning. The new campus will train up to 1,000 students a year, provide space for business incubators, and train the country’s future leaders – all while sharing God’s love through word and deed. The WAVS School is located in the town of Canchungo, about 45 miles northwest of the capital, Bissau. Click here to find out more about Canchungo and Guinea Bissau. Click here to read about our vision for investing in the future leaders of Guinea-Bissau.